You can create projects. Collect user stories. Assign user stories to iterations. Define task for each user stories and track the progress of you work. 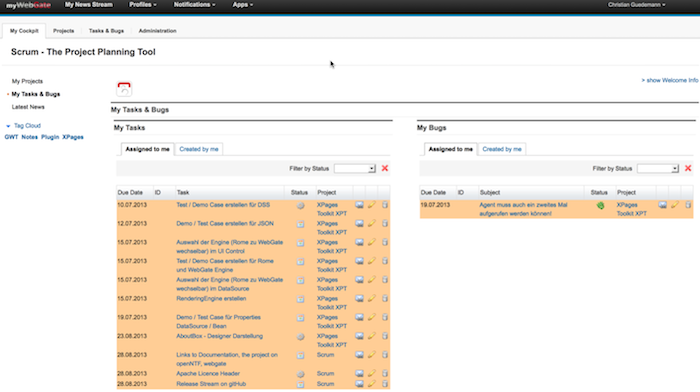 The myWebGate Scrum Application is also a showcase, how to build application which depends on the myWebGate Framework.